I was a bit dispirited. I had just met with a couple from my congregation who told me they were looking elsewhere for a church. One of their grievances was that I talked and preached too much about prayer. I thought about that. Was I harping on prayer? In our conversation the couple had admitted their lack of discipline in prayer. Was this another case of people fleeing when the spotlight of God’s truth threatened to expose idols and provoke guilt? That had happened before in my pastoral ministry. I had seen people seek the refuge of anonymity in a large congregation out from the personal glare of that spotlight. But this situation didn’t have that feel. Was the Lord showing me something through this couple? 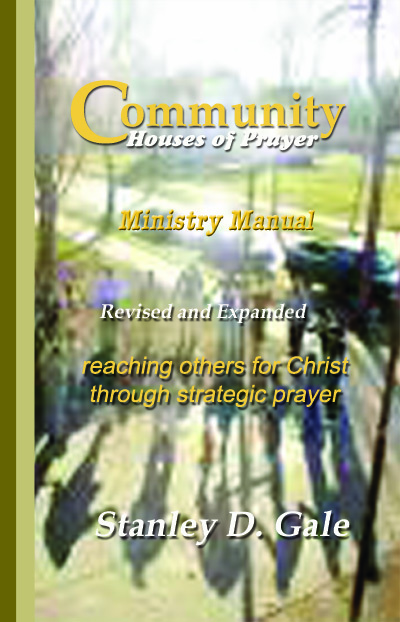 On the one hand, prayer is the power grid to a church’s ministry. While the grid needed to be maintained, the focus had to be on the ministry, not that which powers it. In my own home, the only time I think of the power is when it goes down. It does not warrant a constant focus. On the other hand, prayer is a key means by which we abide in Christ for the spiritual fruitfulness that will not come apart from Him. Part of my job as a pastor is to equip the saints for the work of ministry. Surely, there is no ministry more foundational than the ministry of prayer. Then the Lord led me to a portion of His Word from the opening chapter of the book of Nehemiah. As soon as I heard these words I sat down and wept and mourned for days, and I continued fasting and praying before the God of heaven. And I said, “O LORD God of heaven, the great and awesome God who keeps covenant and steadfast love with those who love him and keep his commandments, let your ear be attentive and your eyes open, to hear the prayer of your servant that I now pray before you day and night for the people of Israel your servants, confessing the sins of the people of Israel, which we have sinned against you. Even I and my father’s house have sinned. We have acted very corruptly against you and have not kept the commandments, the statutes, and the rules that you commanded your servant Moses. Remember the word that you commanded your servant Moses, saying, ‘If you are unfaithful, I will scatter you among the peoples, but if you return to me and keep my commandments and do them, though your outcasts are in the uttermost parts of heaven, from there I will gather them and bring them to the place that I have chosen, to make my name dwell there.’ They are your servants and your people, whom you have redeemed by your great power and by your strong hand. O Lord, let your ear be attentive to the prayer of your servant, and to the prayer of your servants who delight to fear your name, and give success to your servant today, and grant him mercy in the sight of this man. Not that this example of Nehemiah at the state of the ravaged city answered all my questions, but it did give me a place to start—with myself! What struck me was that I needed to be faithful in my own ministry of prayer. I needed to plead with God for His mercy and favor. The Spirit impressed upon me that I must be that “servant” (singular) who stands faithfully in the breech on behalf of the church God has brought me to serve. I am to follow the model of the Servant Intercessor, who pleads day and night for His church. My very call as a pastor is one of prayer and the Word. It’s easy to point the finger of blame and bemoan what other people do or do not do. But before I would presume to take the speck out of my brother’s eye, I must attend to the log in my own. And I must be unrelentingly faithful to my call, following the example of Nehemiah whose heart rested with God, cared for His people and acted first through prayer. I’m sure my Father in heaven has more for me to learn. Through the prayer of Psalm 139:23-24, I have asked Him to apply His stethoscope of discernment to my heart. But this was the place to start, with the log in my own eye. I am already starting to see more clearly.